Parade day is on Sunday May 19th, 2019 – starting at 1 pm sharp downtown Nanaimo at Victoria Crescent, the parade travels along Commercial street and makes it’s way down to Maffeo Sutton Park where it completes. To join the parade, enter your information in the parade form (below) or download the parade entry application. Celebrating Nanaimo’s broad cultural heritage, the Nanaimo Heritage Festival Parade displays our community’s passions and helps tell the story of our heritage, from our First Nations people, to our coal and natural resources, to the railroad and marine transportation and beyond. We are currently accepting parade applications – come join in the parade! Deadline for parade registrations is Friday May 3rd at 6PM. Late registrations will be lined-up near the end of the parade route. To join the parade, enter your information in the parade form (below) or download the parade entry application. 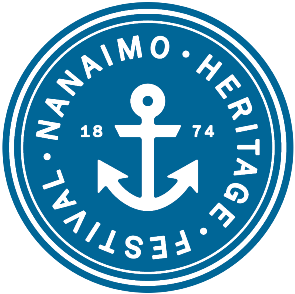 If you have questions or need some help (we can even come pick up your filled in application if you like) please don’t hesitate to contact Norm Smith at 250-756-1245, or email parade@nanaimoheritage.org. Please provide a summary or additional information about your entry (theme, colour, style, participants, etc) for promoting your entry and describing the parade unit for organization and media purposes. I/We the primary person, organization, business, or officer, of the above noted entrant in the Nanaimo Heritage Festival Parade, certify that I/we have read and understand the attached Official Parade Rules and Requirements and that our entry will comply with them. I/We accept full responsibility for the actions of the person(s) or group(s) involved with our entry in the parade. I/We release from any and all liability, and waive all claims against the City of Nanaimo, the Friends of Heritage Society, and their staff, members, associates, volunteers, or any official or third party acting on their behalf, resulting from any loss, damage, injury, or other expense resulting from our participation in the Parade due to any cause whatsoever, including negligence; and hold harmless and indemnify them from any and all liability for property or personal damage or injury to any third party caused by my/our participation in the Parade. This release shall be effective and binding on the heirs, next-of-kin, executors, administrators, and assigns in the event of the death of me/us or the participants representing me/us. If you have any problems submitting this form, be sure to check that you have filled out all of the required information!